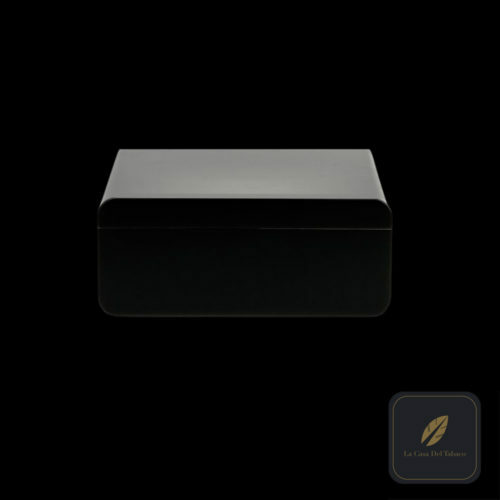 This humidor has been made with a Macassar Ebony wood finish and palladium detailing. The striped wood finish works perfectly with the palladium detailing following the same lines. 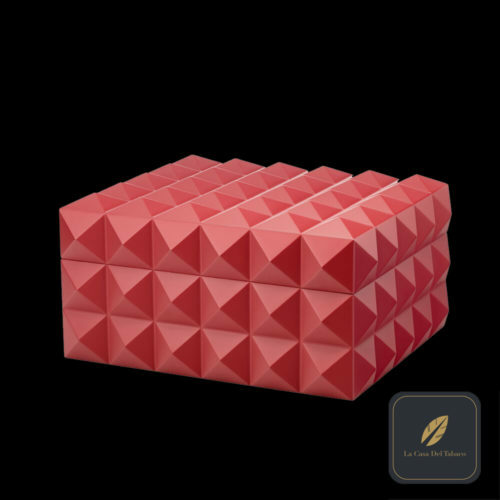 This large humidor is from the Line 2 Liberte collection by S.T. Dupont. 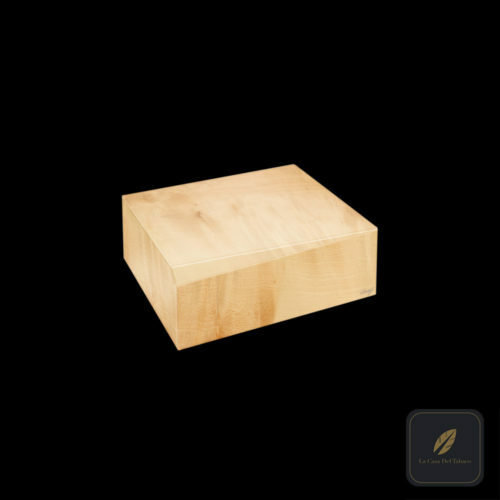 Designed for the home, this humidor can house 75 cigars. 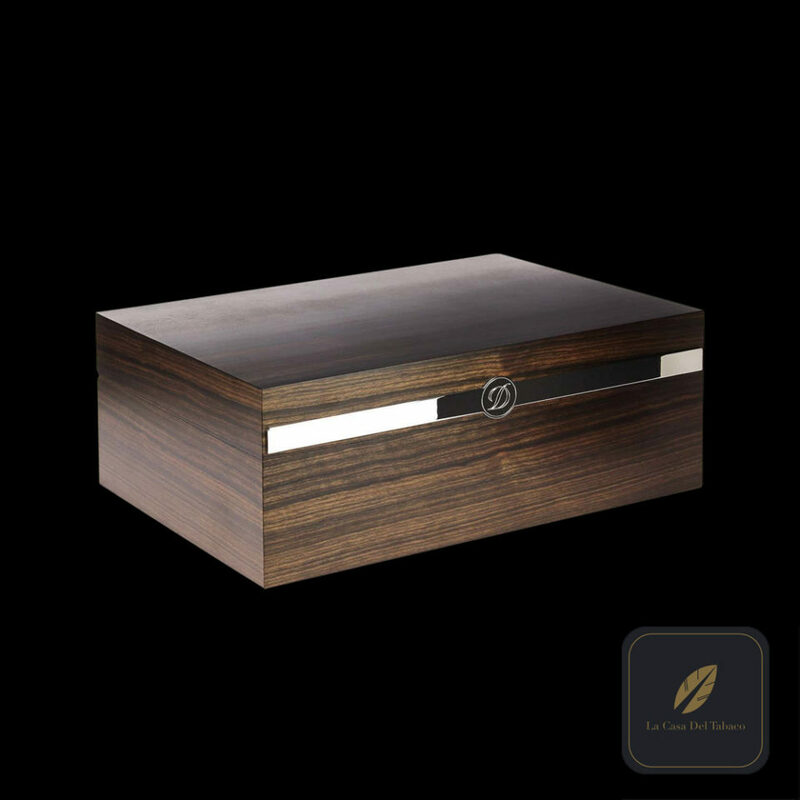 The striped wood finish, Macassar Ebony, and palladium details make for a contemporary piece which could in time become a classic. 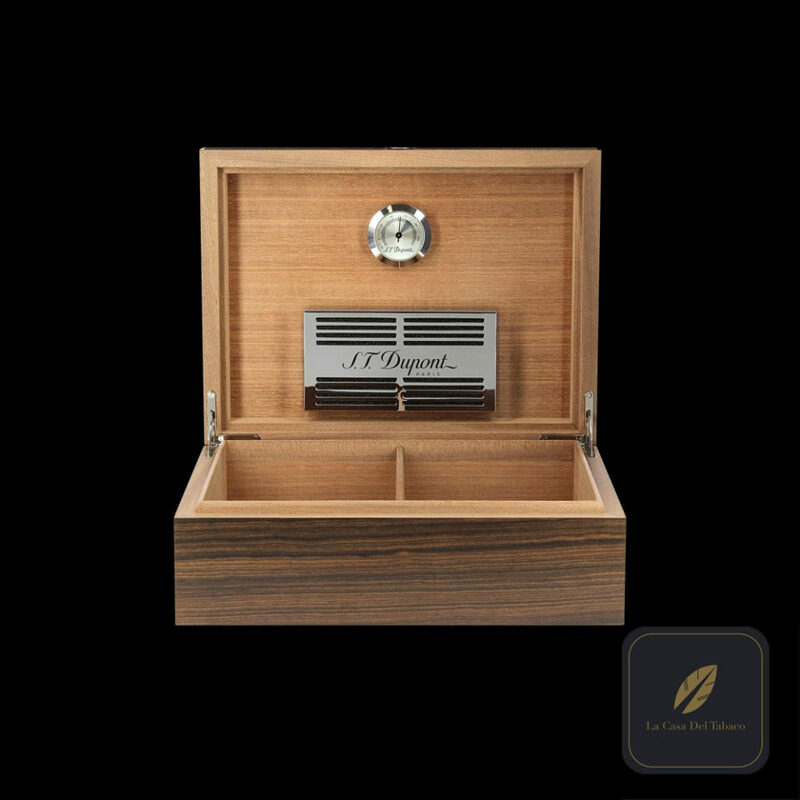 The humidor is finished off with the iconic Dupont D engraved on the palladium on the front face on the humidor. This would make a nice talking point in any home.